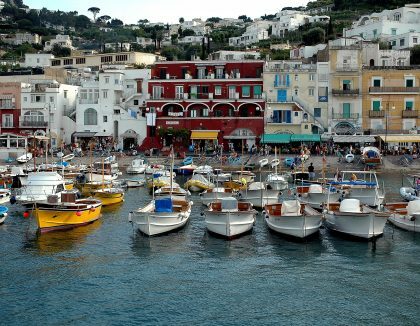 Elegant porches and colonnades permeated with the perfume of a thousand flowers, secret beaches and magnificent, labyrinthine paths surrounded by the silence and enchantment of nature... Apart from it's noisy tourism and the teeming human streams searching for souvenirs and celebrities, Capri is a sweet, gentle island and the perfect refuge for the traveller looking for peace and quiet. April, May, September, and October are the best months to really appreciate this venue that, long before it became a destination for international tourism, was the residence of emperors and philosophers, artists and intellectuals, aristocrats, poets and writers searching for creative indolence, inspiration, serenity from anxiety and interior peace. 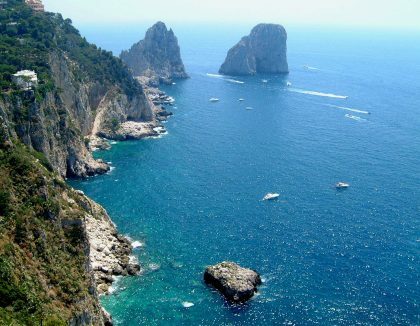 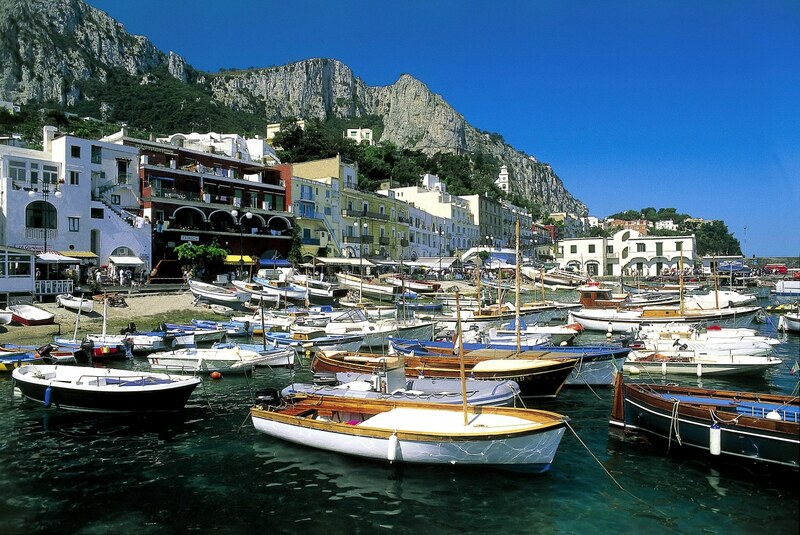 It is difficult, in fact, to appreciate the magic of Capri during the summer season or to understand why Capri was, before all else, a siren capable of forever chaining great artists and travellers to her rocks. 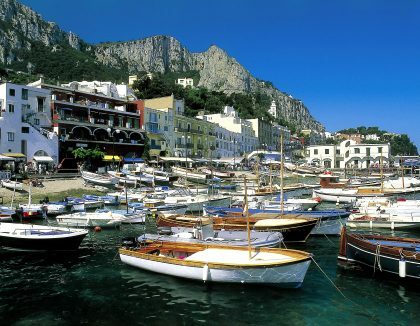 This magic can be clearly realized only if, far from the summer hordes and beaches over-crowded with bathers, one enters into the heart of Capri, giving in to it and visiting it with the eyes of those who have carved out houses, gardens, and magnificent villas that are rich in archeological, historical and artistic artifacts on the island. Since the time of Imperial Rome and particularly between 1800 and 1900, there were many who built homes sheltered by the rock and stretching out to the sea and who decided to remain in Capri forever, retreating into these residences whose interiors, shapes, views, and decorative elements are celebrated in art books and on magazine covers the world over. 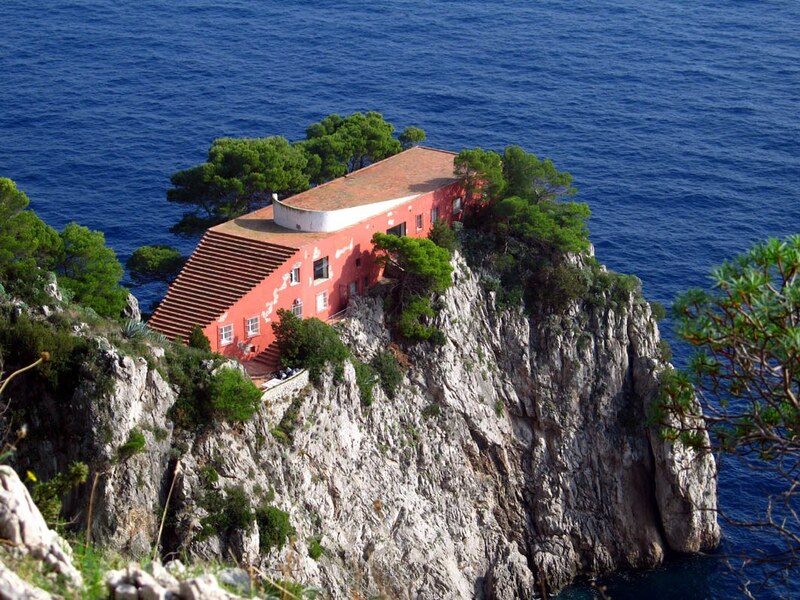 Places such as Villa San Michele, Villa Damecuta, Villa Jovis, Villa Malaparte and Villa Fersen remain absolute jewels of world architecture and gallery museums of authentic artistic treasures. 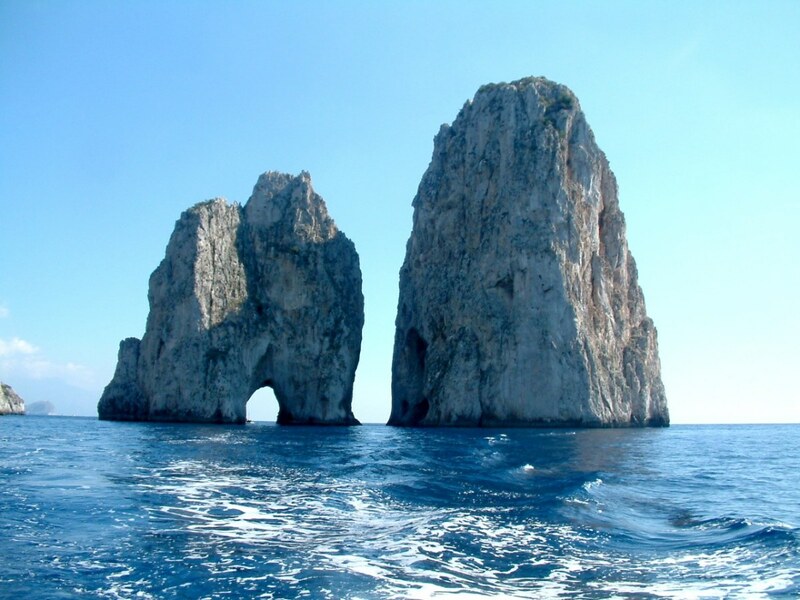 These jewels are often lost in the summer confusion that invades the island, preventing one from thoroughly enjoying the scenery, locations and atmosphere that, especially in springtime, release their many charms. 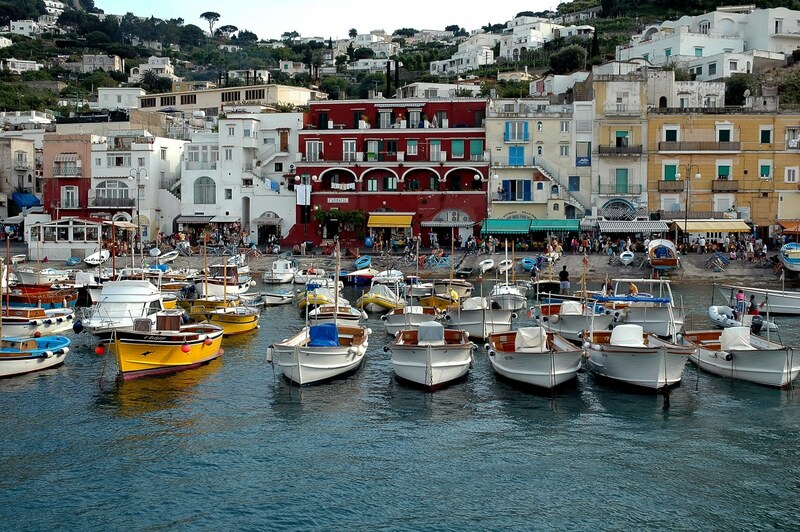 The architectural charms of Capri are infinite, as are the refuges of the elite that can be visited starting out from the famous Piazzetta and following panoramic pathways and typical 'scalinatelle'. Beginning with the route that leads to the magnificent Gardens of Augusto by way of Via Krupp, Capri offers a unique opportunity to experience man's capacity to create beauty even where nature is harsh, wild and seemingly inhospitable. 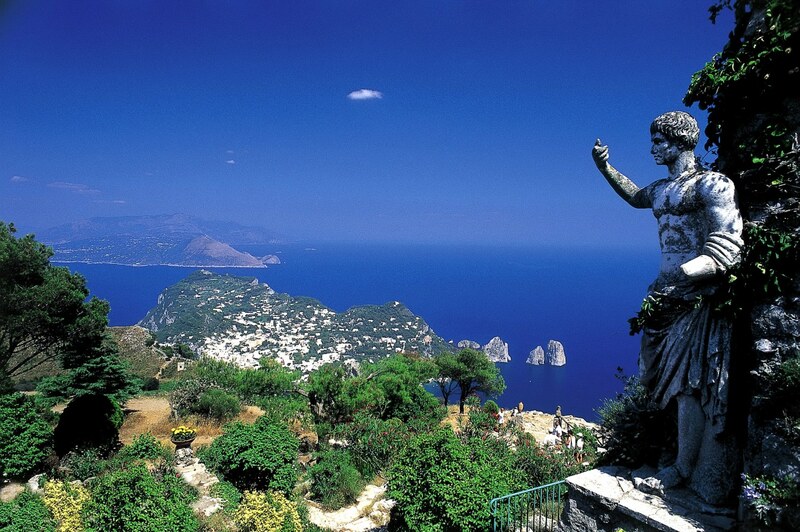 It is impossible not to wonder how man was able to rob such pathways and terraces, such dwellings overlooking abysses, from the sea and the rock in the days without the aid of modern technology... and to admire how, notwithstanding the hand of man, nature reigns supreme in Capri. 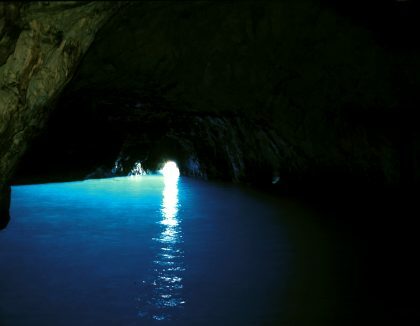 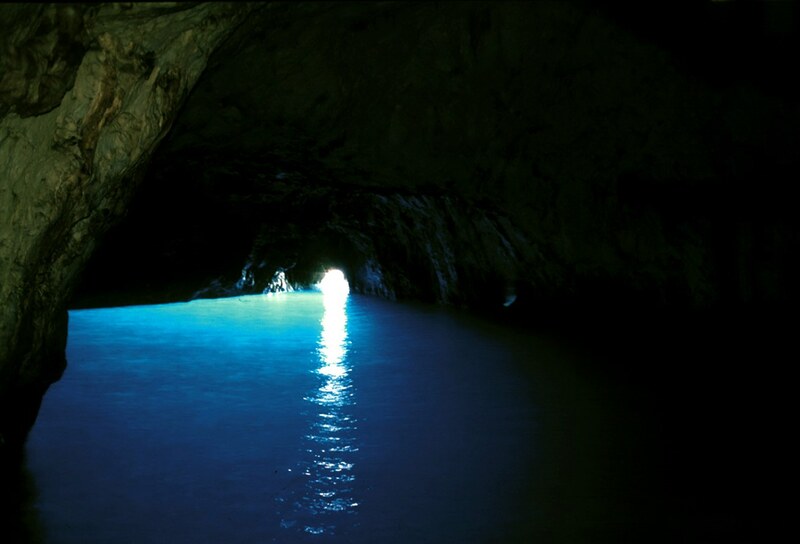 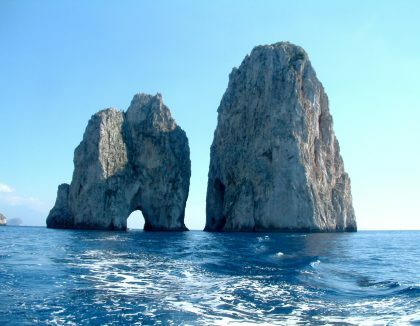 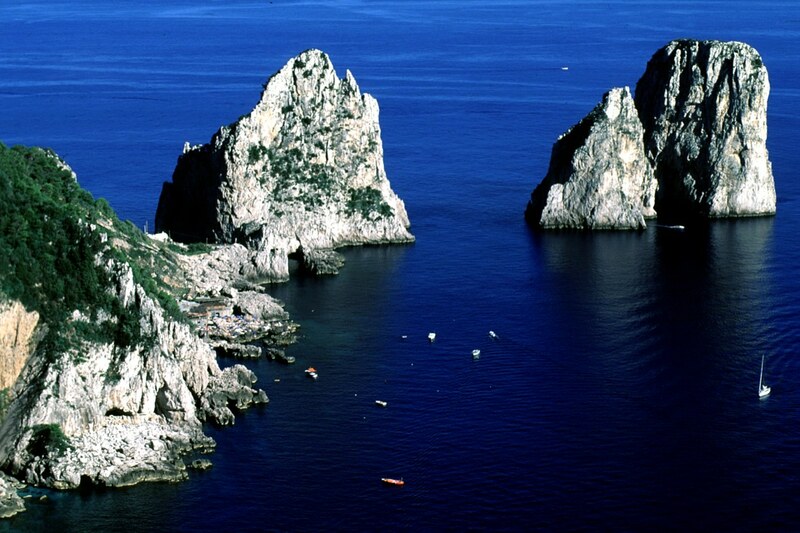 Here, in nature, it is beautiful to get lost on the island of Capri; beginning with looking out over it's deep blue open sea, or on the million shades of it's rocks that, like the famous Faraglioni, are tinged with reflections at least as beautiful as those of it's celebrated Blue Grotto. 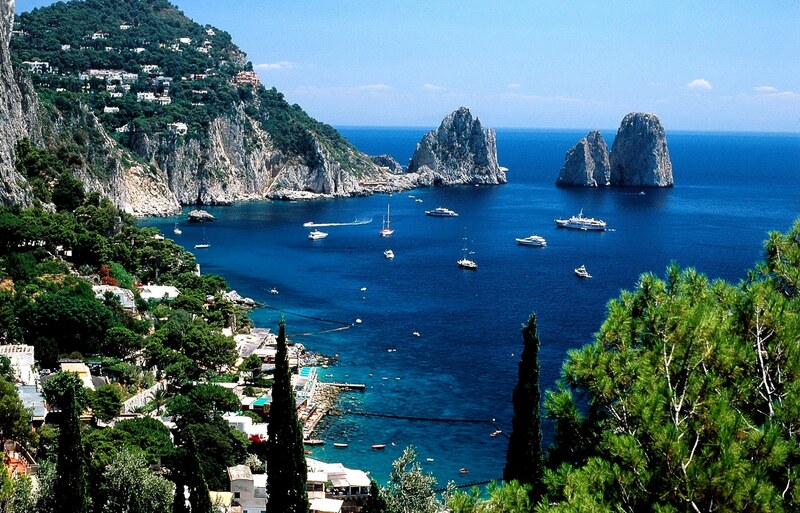 Let yourself be seduced by the bright yellow of the lemon groves, by the intense red of the bougainville, by the bewitching perfumes of the juniper, the myrtle, and the rosemary that cover the island. 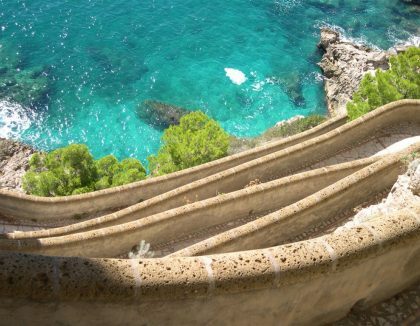 These fragrances and colours inspire the great handicraft tradition of the island, famous leather sandals that are rigorously custom made-to-measure and decorated with stones, pearls and strass of every colour. 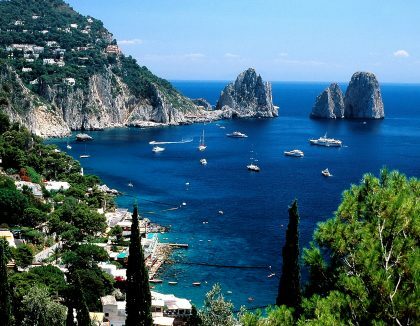 Colours and nuances that are found in the precious embroidery work that is produced on the island and again in the many jewels that trim them. 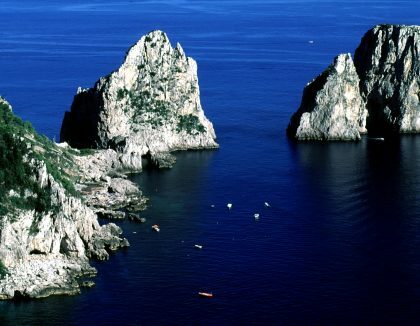 There are real jewels, those made of coral and the jewels of the palate such as the famous torta caprese cake, a triumph of chocolate butter and almonds. 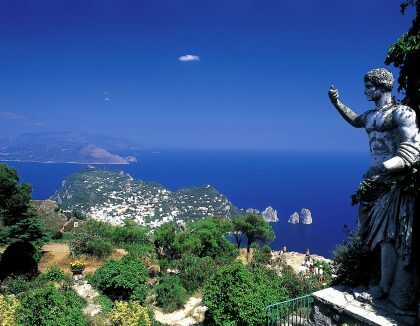 A trip on the chair lift to Mount Solaro is a must - with your feet almost brushing the luxurious local plant life - to admire the entire Bay of Naples, the islands of Ischia and Procida from on high, while resting in the serenity of Anacapri and it's neighbourhoods that still retain clusters of dome-roofed houses.